Talent assessments have been an integral part of selection processes for the last few decades. The value and impact of talent assessments in the employee selection and development lifecycle have been well established with more than 70% of companies using assessments in their talent selection process today. 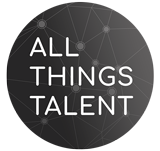 Like many industries, technology has changed the landscape of talent assessments. The process of the application that continues till final selection is completely different today as compared to what it was almost a decade ago. Some of these trends have helped in making the process of candidate selection faster, better and more convenient. Having been in the assessment space for the last two decades, I am always looking for new methods and techniques that can offer value in the talent assessment life cycle. In my view, the last decade has seen more changes and improvements in this space than the last 50 years put together. For a very long time, off-the-shelf assessments were ruling the roost. With the very little possibility of changes and customisation, users were finding it very difficult to fit it into their selection context. This has changed completely now. With advancements in assessment science and technology, assessments are today customised to suit the specific need and context of an organization. This does not dilute the rigour of the assessment, but in fact, the new-age customised assessments are more productive than ever. Assessments integrating actual job simulations are replacing regular knowledge assessments as research shows that just ‘knowing is not doing’. Simulations help in understanding a candidate’s performance in a near-actual work environment and also help in identifying specific areas for improvement. Simulation assessments are widely used in customer-service roles and are increasingly being adopted across new roles. A Gamified test takes away the boredom of a regular MCQ format and makes it interesting for test takers. Gamified tests are usually language-independent making them universal. Academic scores and proficiency test scores are not always the best indicators of an individual’s skills. Gamified tests can be a great new method to measure actual abilities rather than stated and observed ability. Since the assessment process is new and innovative, there is a huge opportunity to reach out to skilled people en masse. There is a huge population of talented “self-taught” people who do not go through the formal education system. Following typical screening processes like exam scores, qualifications etc. does not help in reaching out to this population. Gamified tests, on the other hand, provide the perfect opportunity to reach out to the self-taught geniuses. Assessments in controlled environments have been the norm for many years now, but with innovations in technology, this is no longer the case. With video/photo capture elements integrated with assessments, the idea of proctoring has become digital and real-time. Some of the new-age proctoring systems monitor the audio/video feeds for any suspicious activity using advanced analytics thereby making remote testing safe and cheat-proof. Perhaps the biggest trend in assessment is the use of mobiles to go through assessments. Imagine campus-hiring processes where candidates no longer need to wait in queues to get their turn at the computer to take the selection tests. With a smartphone in hand, any authorised individual can take tests anytime and anywhere. This has really helped companies save time, costs and more importantly offer better candidate experience. The concept of hiring for a specific set of skills/competencies is giving way to understand an individual’s potential and make the most of it while on the job. In today’s VUCA (volatile, uncertain, complex and ambiguous) world, Organizations are changing what they focus on when they make decisions about hiring and promotions. While inputs on whether or not someone can do the job at hand is still important; companies are also increasingly looking at what else the person can do. Taking into account the future potential, while making selection decisions is now seen as very important. The idea is to look more at an individual’s uniqueness and range and explore the situations he/she can be effective in. It’s a candidate’s market out there and organizations are going all out to ensure a great candidate experience during the selection process. It is no longer enough to assess candidates in a fair, transparent way. Recruiters today need to engage candidates in the assessment process and leave them with a positive impression. In the last couple of years, employer-branding efforts have focused on the talent attraction process. Improved career sites, talent community management, and social media marketing all impact the experience of potential candidates, before they can enter the talent selection funnel. With individuals sharing their experiences freely and openly on social media, the candidate experience is a key consideration and an important element in a modern assessment process. Automation of the entire application-to-selection process is a reality today. The likes of Google and Zoho have entered the Applicant tracking space and offer state-of-the-art systems at very low costs, thereby increasing their use. Companies have realised that automation helps tremendously in reducing time-to-hire and in ensuring a great candidate experience. With more and more service providers offering APIs, integration of multiple systems to offer a seamless user experience is becoming a key trend. Stand-alone/static reports are giving way to dynamic dashboards. The true value of an assessment report isn’t in the individual module/trait/factor scores but in the cross-factor interpretations and throughput analytics that help in making informed decisions. We are also witnessing the rise of technology-aided interpretations/insights and predictive scores that help companies look at the future. The use of assessment data, for a very long time, was limited to taking the selection decisions. Today with the availability of large amounts of assessment data and improvements in data analytics algorithms, measuring the correlation of assessments with actual on-the-job-performance is possible and accurate to a very large extent. This helps build a strong business case for further investments in assessments and related technologies. From assessments being looked at as a ‘cost’, they are now considered an integral part of the hiring process. One aspect of talent selection ripe, for disruption, is background verification. With digital becoming the new norm and technologies like Blockchain taking centre stage, the entire process can be made tamper-proof and secure. The speed and authenticity of the information are also expected to improve manifold. Sharing of information between companies on past employees has always been a challenge because of security issues. With Blockchain automating trust, a consortium approach where companies share information between each other will soon become a reality. Satish Salivati is the Co-founder and CEO of InteliTix Solutions, a new age talent assessment solutions company. InteliTix has pioneered the introduction of Gamified assessments, Simulations and micro-learning platforms in India and works with leading organizations across industry segments. The company is also working on using Blockchain technology in employee background verification.